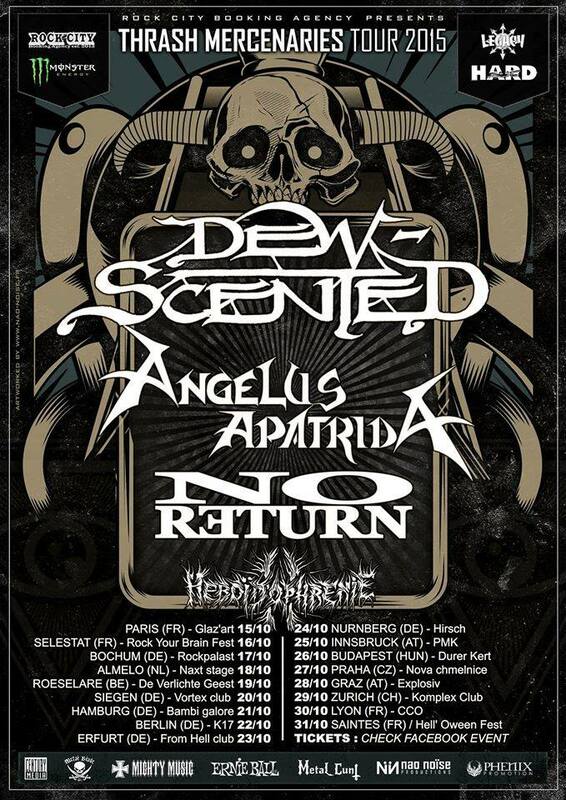 DEW-SCENTED - Relentless Thrash Metal from Germany - DEW-SCENTED » DEW-SCENTED touring Europe! DEW-SCENTED - Relentless Thrash Metal from Germany - DEW-SCENTED » DEW-SCENTED touring Europe! Home > NEWS	> DEW-SCENTED touring Europe! See you all on the “Thrash Mercenaries“ Tour 2015! Heavy new year 2016! DEW-SCENTED / ANGELUS APATRIDA Split 7” EP!